EasyStart™ is a one-of-a-kind, custom-developed soft starter for single-phase motors. It can support both 115 and 230VAC motors. It employs a 4-part start ramp sequence that is self-optimizing, resulting in the lowest possible start-up current. EasyStart can deliver up to 75% start current reduction as compared to a compressor's LRA (locked-rotor amperage). It also has numerous specialized fault checks not found in any other soft starter to provide further protection for your compressor. 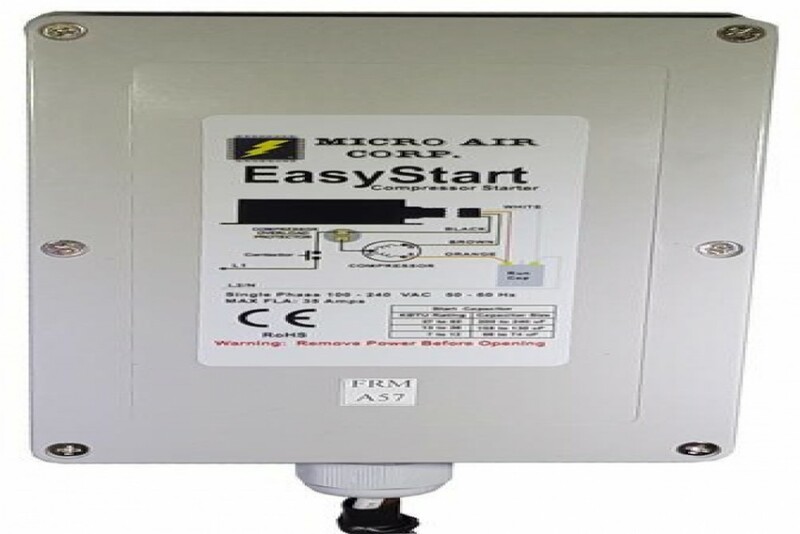 EasyStart is the perfect solution that allows an air conditioner or refrigeration compressor to operate on a generator, inverter, or limited utility power when it would otherwise not have functioned. It can also be applied to air compressor and fluid pump motors. The EasyStart 368 is capable of supporting up to a 72000 BTU (6 ton) compressor. It includes a fully-weatherproof (IP65), flameproof, plastic enclosure with an integrated mounting flange and a 32" (0.8m) wire harness.